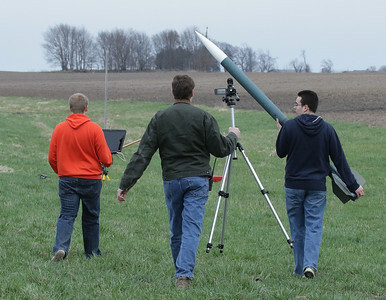 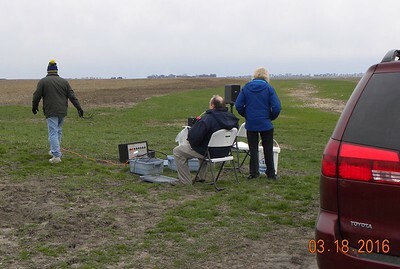 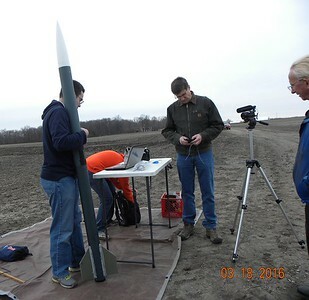 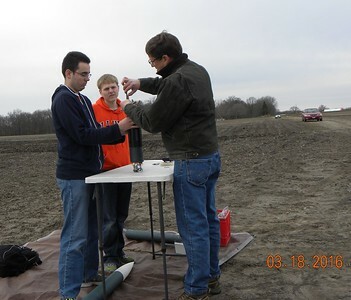 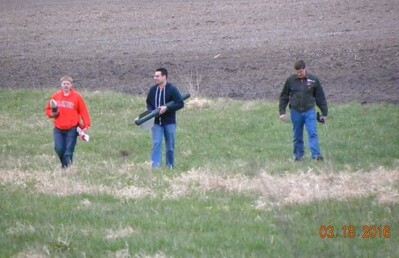 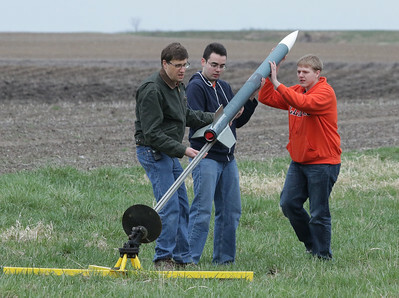 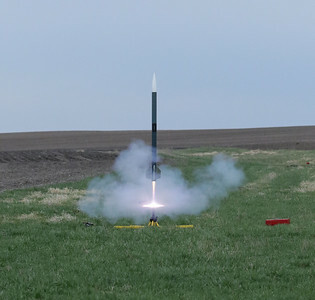 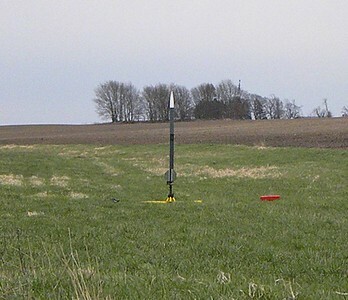 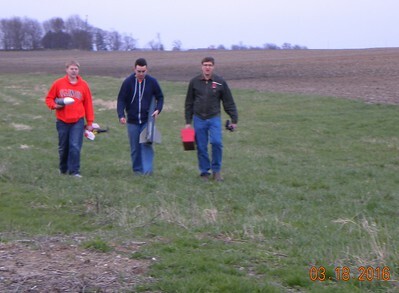 Jonathon Sivier, Mark Joseph, and the two students examine the launch pad. 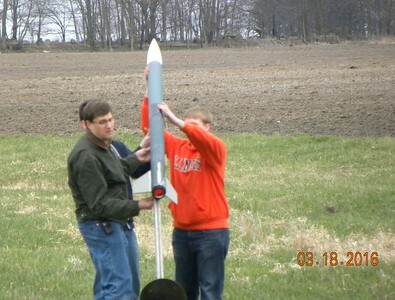 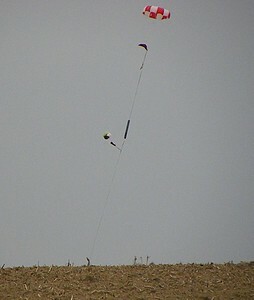 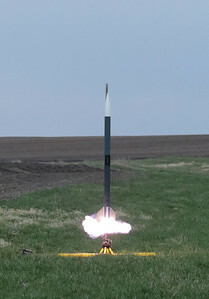 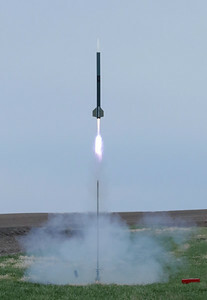 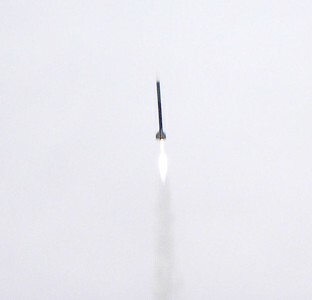 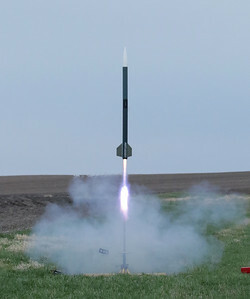 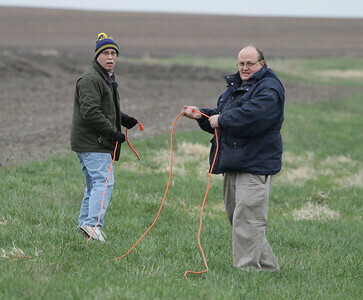 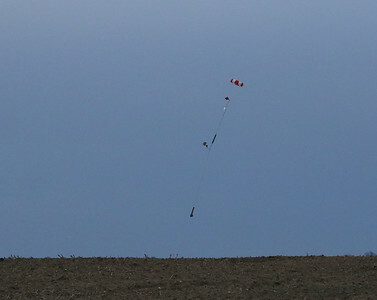 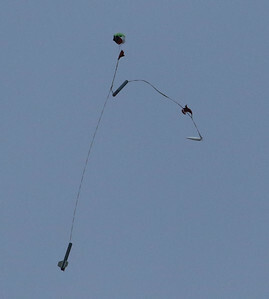 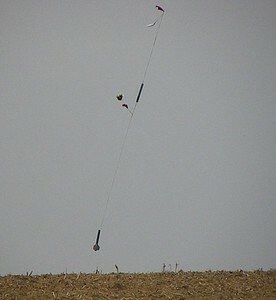 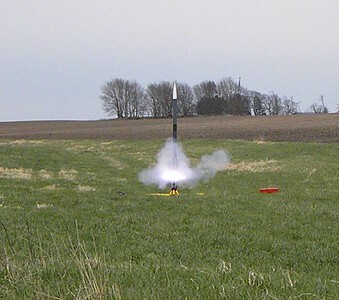 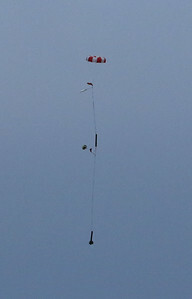 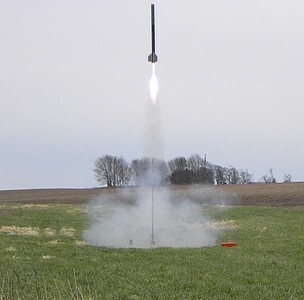 Mark Joseph installing one of the four ejection charges. 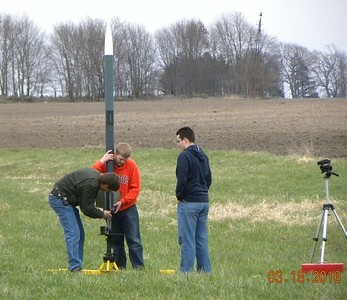 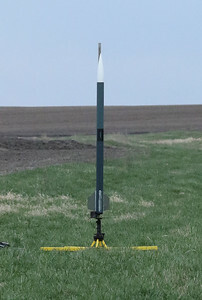 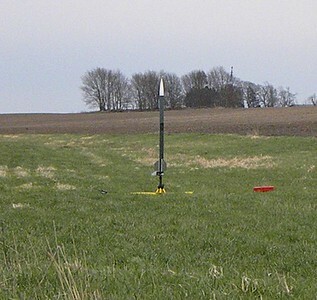 Loading the rocket on the pad. 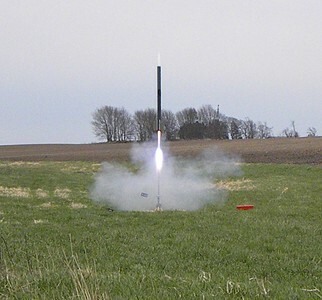 I love that flame from the K1000. 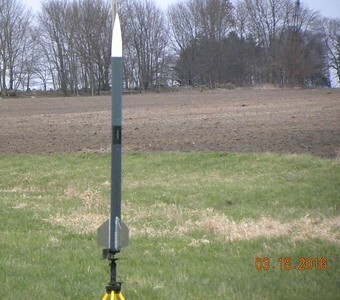 On it's way to 5472 feet. 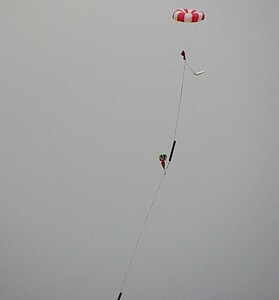 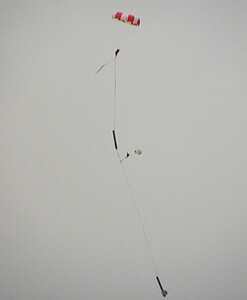 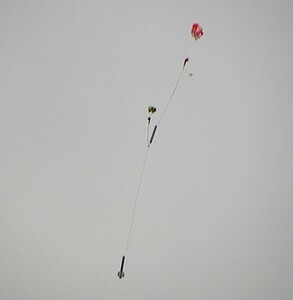 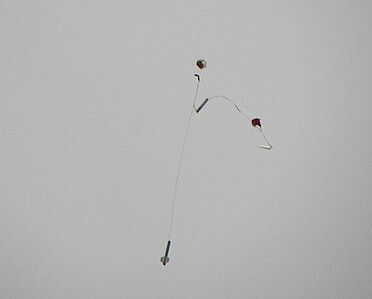 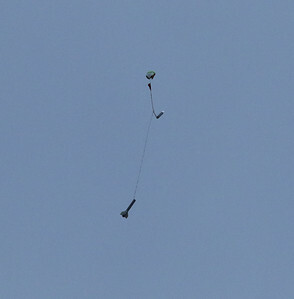 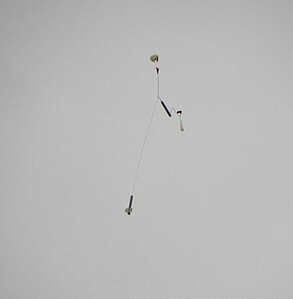 Coming down under the drogue parachute.